Why we train the child’s motor skills? Motor development is an important part of the child’s growth and overall development. Motor skills create the foundation of mobility and the best time to learn these skills is from the age of 2 to 7. The motor skills are divided into three parts; Gross motor development (as running and jumping), fine motor skills (as writing and binding of shoelaces), and observational motor skills (as how the child can perceive his or her body in relation to the surrounding space, time and force). 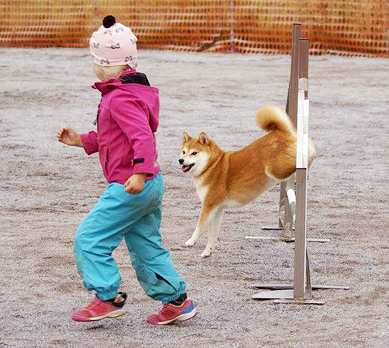 For agility handler these skills are inevitable. The Funna method supports the learning and development of these skills in a fun way. The stronger and more advanced skills child has makes a difference on learning more movements and how the child feels about themselves. And we have seen it! We have seen how a child clumsy as an elephant in a porcelain shop (Finnish proverb) has become agile and aware of themselves.